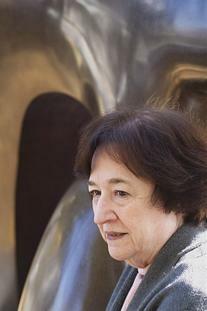 Helen Vendler, critic and scholar of English-language poetry from the seventeenth century to the present, is A. Kingsley Porter University Professor at Harvard University–the first woman to hold a University Professorship, the highest academic distinction Harvard bestows. She was poetry critic of The New Yorker from 1978-1990, and was a member of the Pulitzer Prize Board from 1990-1999, often serving before those years on Pulitzer Prize juries for poetry. She has written ground-breaking scholarly studies on the work of William Butler Yeats, Wallace Stevens, George Herbert, John Keats, William Shakespeare, Seamus Heaney, and Emily Dickinson, and has received the National Book Critics' Circle Award for Criticism in 1981, as well as the Truman Capote Prize, and the MLA Lowell Prize, and the APS Jefferson Medal. Her criticism has been collected in several volumes, including Part of Nature, Part of Us; The Music of What Happens; Soul Says; and The Ocean, The Bird, and The Scholar.